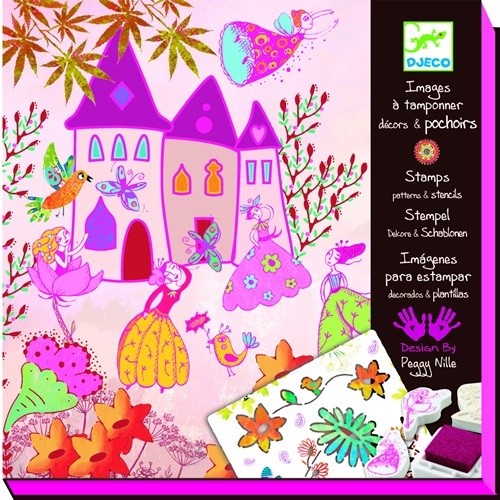 Djeco Princess Create a Story Stamp & Stencil Set is a beautiful creative kit for girls allowing them to produce elegant pictures, story scenes and many other creative pieces. This set from French brand Djeco is presented in a high quality box, perfect for storing all the pieces in. Inside the box you get 10 sheets of high quality paper in a lovely selection of background designs as well as 3 stencil sheets, 10 stamps and a pink ink pad. Miss M’s eyes lit up when she saw the box and being of an art and crafty nature, she couldn’t wait to get stuck in. 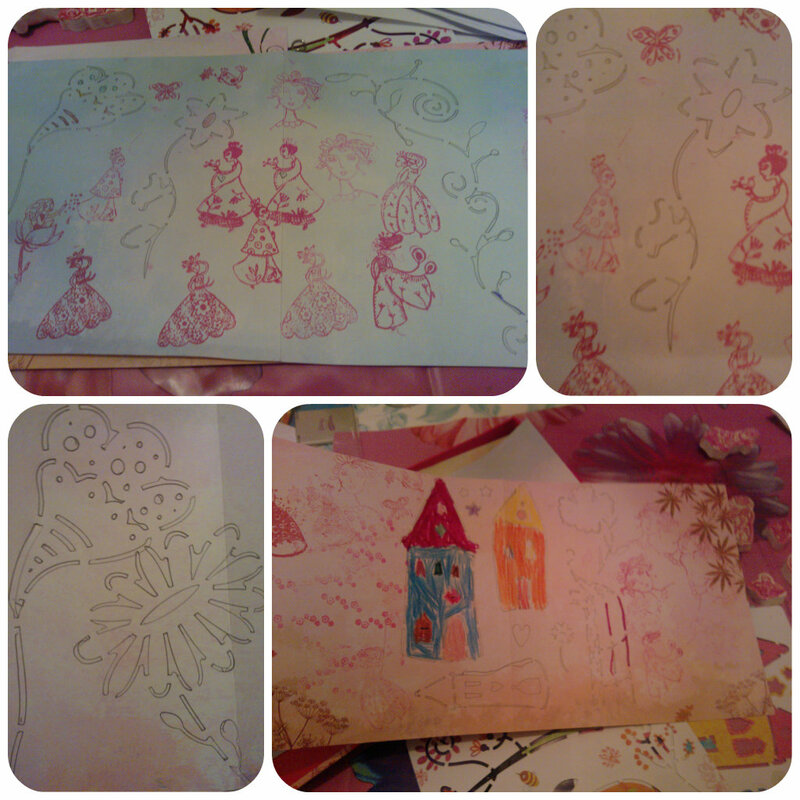 The french designs are elegant and feminine and Miss M immediately took up the challenge of creating a princess scene on the included background papers. She loved both the stamps and the stencils and sat in deep concentration drawing inside the stencil lines. This has kept Miss M entertained for long periods of time, with her keen to create her own little storyboards. The designs feel grown up and different from other similar types of activity kits making it a good step up for Miss M and made it more interesting for her. It really encourages children to be creative using various methods such as stamping, stenciling and their own free hand. Miss M has also enjoyed colouring the stenciled pictures to finish them off. This is a lovely set presented in a beautiful sturdy box that is great for storing little crafty things in. There is plenty to do and the included background papers really make your child’s pictures come to life. Miss M has loved using this set and will continue for a long time yet. We recommend this and think it’d make a lovely gift for any young girl who enjoys drawing and art. 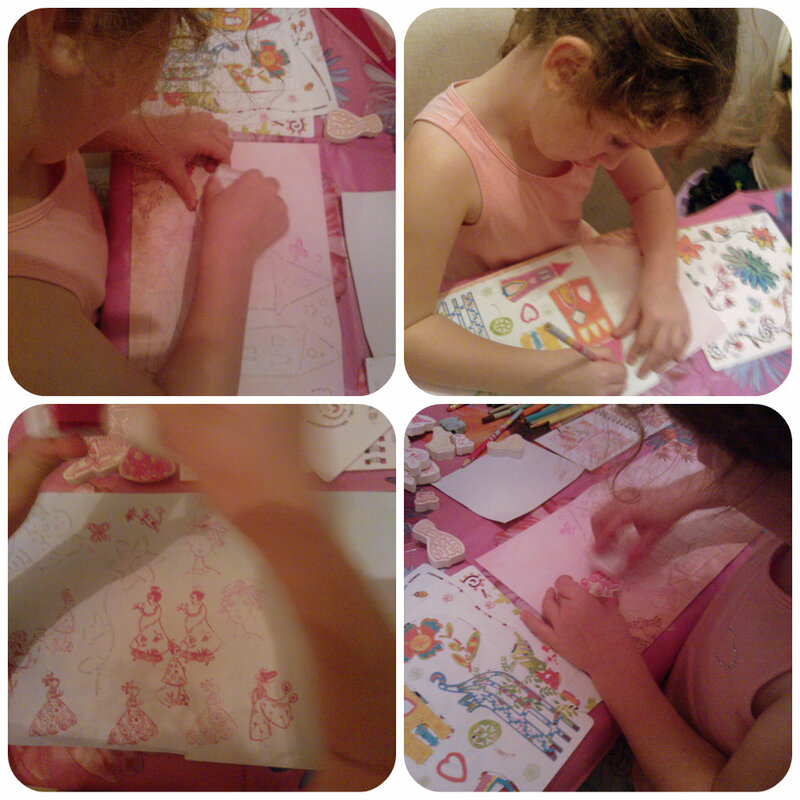 The Djeco Princess Create a Story Stamp & Stencil Set is available from the family run company Butterflies and Dragons. They have a wide range of other wonderful children’s toys and activities which all come with free delivery within the UK!! There are many beautiful wooden and traditional style toys – well worth a look especially on the run up to Christmas. This entry was posted in Reviews and tagged art, arts and crafts, butterflies and dragons, djeco, girls, princess, stamping, stencils by Fiona Martin. Bookmark the permalink. That looks lovely. Do they do boy’s sets as I think my son would love something like this? We had a ‘castle’ one of these when my two oldest boys were little and it was brilliant – they loved it! Jenny @ The Brick Castle recently posted…We WILL go on holiday next year….